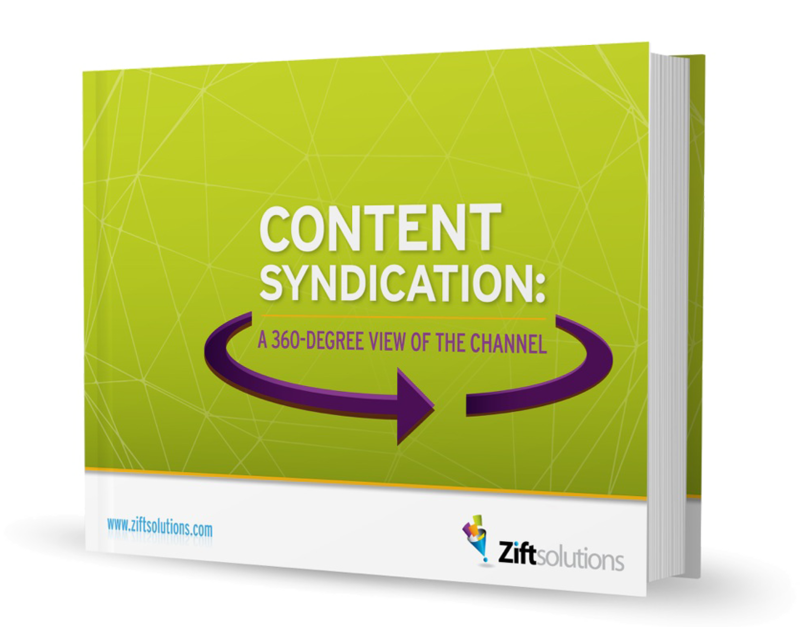 Find out how to lift the burden of content creation, boost conversion rates by 50% and enhance visibility across the sales cycle with Zift Solutions’ new eBook, Content Syndication: A 360-Degree View of the Channel. You’ll discover the unique value of Dynamic Content Syndication, which automatically embeds and adjusts content in channel partner websites to match prospect interests and online behavior. Learn best practices and see real-world results for this proven, straight-forward marketing tactic that solves content development and visibility challenges across the channel. It’s tough for time-challenged partners to meet the continuous demand for targeted, relevant website content that engages today’s modern buyer. With Content Syndication, you can solve content creation challenges, enhance visibility across the channel and increase conversion rates by automatically embedding and adjusting content in channel partner websites to match prospect interests and online behavior. Complete the form to get the eBook and learn more.